Da Capo Lifelong Books, 9780738220147, 256pp. How can you challenge and change yourself when you need it most? We're creatures of habit, programmed by evolution to favor the safe and familiar, especially when the stakes are high. This bias no longer serves us in a world of constant change. 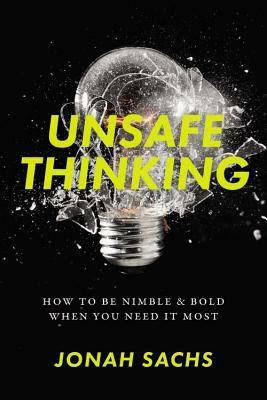 In fact, today, safe thinking has become extremely dangerous. Jonah Sachs is the founder and a partner of Free Range Studios, a brand and innovation company that transforms companies through unsafe thinking. For his work he has been awarded "best of" honors three times at the South by Southwest interactive festival, earned a Webby award, and been featured at the Sundance Film Festival.